Today, I’m a priest in the Episcopal Church and the mother of middle schoolers. But not long ago, I was a lay Christian educator in the Episcopal Church and the mother of elementary schoolers. I’ve worked in churches my entire adult life. I knew about curricula and programs. I could organize volunteer Sunday school teachers. But I hadn’t been raised as a Christian myself. I knew what to do with kids on Sunday morning at church. But I didn’t know what Christian families did at home. My husband hadn’t been raised in church either. We did the best we could, but I always felt l like we were missing something. Then I stumbled upon mom blogs that focused on celebrating the liturgical year at home. I read stories and found ideas I could implement in our family’s life. There were simple craft projects to do and there were meals to make. Making hot cross buns was a simple way to integrate a Christian tradition into life at home. 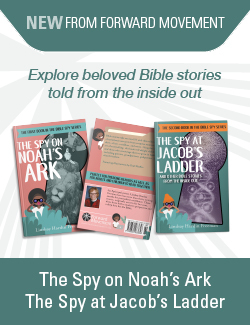 Most important, there was a different way of life made evident in the stories these blogs told. They demonstrated that the Christian faith is a path of love. The more I read, the more I longed for an unabashedly Episcopalian venue where I could reflect on how to practice my faith at home. I wanted recipes for our liturgical calendar and rhythms that reflected our prayerbook. I wanted stories from other Episcopalians about how they were doing things. I’m so excited to read the writers that will be featured on the site over the next couple of months. I want to learn from the reflections of a young adult starting an intentional community and a young father reflecting on praying with small children. I want to see what happens when a young adult and his mom — both highly active in the Episcopal Church — reflect on what made faith stick in their family life. I want some recipes that help me celebrate the saints, and I want some ideas for creating a space for prayer. Most of all, I want the world to see and know that the Christian faith is a way of love and of life. That following Jesus leads to life abundant — not only in the hereafter, but in the daily round. I ask your prayers and your honesty about Grow Christians. Comment in the comment fields. Make requests. Give us your email address so we can ask you how it worked when our Lent experiment is done. And most of all, please pray that together we can glorify God, whose presence working in us can do more than we can ask or imagine. Pray for more disciples living more deeply into our call from God. I don’t have small children living with me but two adults. The eldest is disabled and works part time using his BFA degree specializing in theatre lightening. The youngest has just about completed working on his Ph.D. I am now retired and Homebound. We need this blog and all you have to share! I will be here and hopefully with my Jesus and Lord give and receive. Thank you for all the hard work it took to bring this about. I am impressed by this – I wish I’d read it years ago. Alas, all my children are atheists except one who ‘believes it all when she hears Bach’. I have to leave them to heaven. Neither my husband nor I was reared in a Christian or even believing household so we failed utterly except they have turned out to be really good people unlike their parents, . However here is a small suggestion for Advent: Make an Advent wreath with the 4 candles – 3 red 1 pink and hang it above the dining room table and light the proper one at your main meal or whenever you think suitable. You can add a white one in the centre for Xmas if you want. They can stand for patriarchs, prophets, disciples, ( or John the Baptist) and the pink one, of course, for the BVM. With 6 kids mine had to take turns lighting them. It’s just a little thought but a nice bit of symbolism for the wonderful and austere season of advent which I really love with its readings full of expectation and longing. I learned it in Holland. Thank you for sharing your story. Trust your children to God and know God has ways of reaching people that we know not of. I appreciate your Advent suggestion! blue and one pink. Red does not serve as proper during advent. As we are now in Lent. Purple is the total thing. Try to teach children using the proper seasonal colors and they will really have an idea about the Liturgical seasons and extra seasonal exceptions such as weddings, funerals etc. I just signed up. This is like a breath of fresh air! Our family attends a beautiful Episcopal church in Vermont and we are extremely committed to our church community. As Vermont is one of the “least churched” states, however, we are one of only a tiny group of “young” families in our parish (our kids are 9,11 and 14). We long for more Episcopal/Christian/Spiritual fellowship. This is such a great idea. I love it when the Spirit works its mystery in this kind of way. It’s like an answered prayer that I didn’t even know I’d prayed. Thank you, Thank God. Your comment brought tears to my eyes Amy. Thank you so much for writing. Understand how you feel but I am an “old” EPISCOPALIAN! Still “draw us in the Spirit’s tether” I am happy we were. Look forward to knowing you and yours through this great venture! God Bless ?? This is a really great idea, and I’m so glad to have found it! We’ve been doing “home church” for a while now with our kids ages 5 & 7. I was really excited about what we did this past Advent, which was an activity per day (based on a Celtic Advent calendar I found which is 40 days) that I paired up with a scripture reading. Let me know if you’d like to know more about it. In the meantime I look forward to following the Lenten journey. 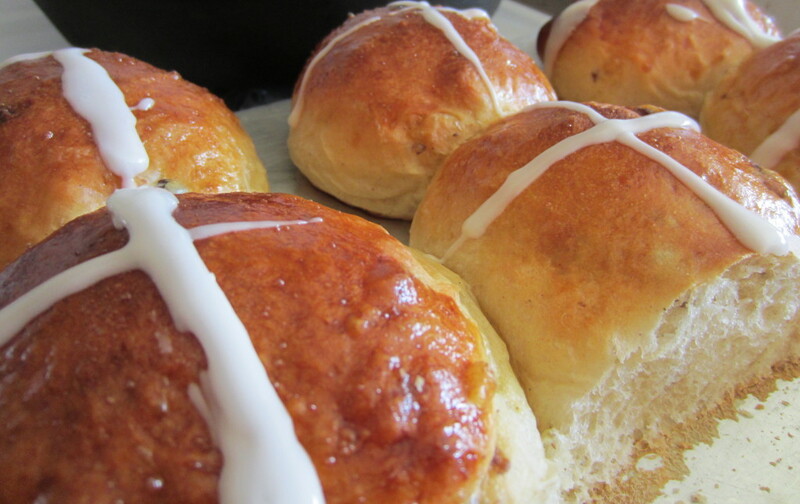 We had already planned to do hot cross buns this year! Im so happy to see this resource online, as there is nothing like it anywhere (and I’ve looked!) I think its so important that that we have a place where we can gather, share ideas and inspire each other. I love the liturgical year, but like you, I am an adult convert so I’ve got a big learning curve when it comes to creating a ‘family culture’ for faith. I know in my personal church, we are seeing a flourishing of young families and new babies are being born into our parishes each year. Its important to us as families that we have the tools to nurture our new ‘cradle Episcopalians.’ Its my hope that this site continues on a year round basis so that we can get inspired through all the seasons of the church calendar! We are a clergy family as well. I’ve also been looking for something like this. I never expected to be sort of be the faith leader in my home, since my husband is a priest, but that’s the way it’s worked out. I look forward to following the blog to add to some of what we’ve been doing. I was thinking about how we practiced our faith at home. The most obvious thing is grace. Our grace before meals has evolved. First off, we all do an “ohm” before we say anything. This isn’t Christian of course, but it definitely centers everyone. Then, for breakfast, we sing the Doxology (“Praise God from whom all blessings flow…”). It’s awesome because from kids choir years back my kids learned how to harmonize it. If we’re eating lunch together, we’ll “ohm” then just sing “For health and strength…..” and finally, for dinner, after our “ohm” one of our kids will spontaneously do a spoken grace. I like how this organically evolved system covers all the bases. Sitting down for meals together feels sacramental. I’m curious how others do it! I had to smile when I read your comments about the numerous blogs devoted to moving through the liturgical year with young children…but none from an Episcopal perspective! I have read a lot of them but always end up feeling left out because their tradition is not my tradition. I’m so happy to see this website! I was also not raised in the Church, was baptized as a young adult, and I struggle to create family faith traditions. I have a very hard time talking to my kids about faith. Nice to read about what other families are doing! Thanks! Monica, thank you so much for commenting. You are exactly the person for whom this website was made! (At least, one of them!) Please let us know what you would like to see in the future. It’s great to hear from you.